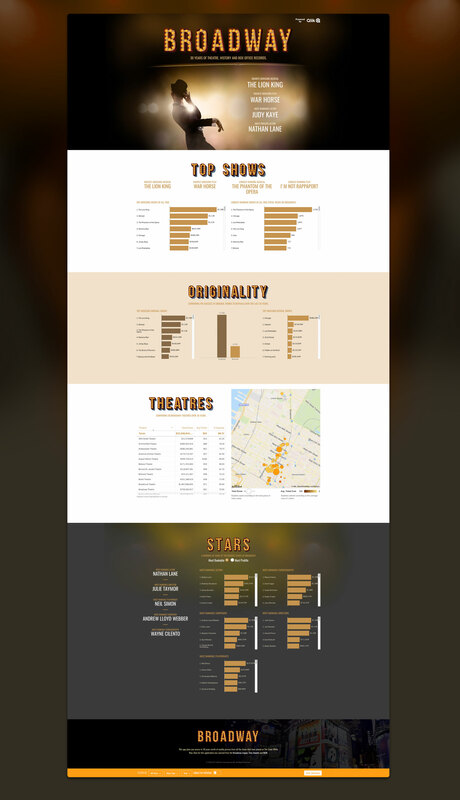 An analysis of 30 years of Broadway data. 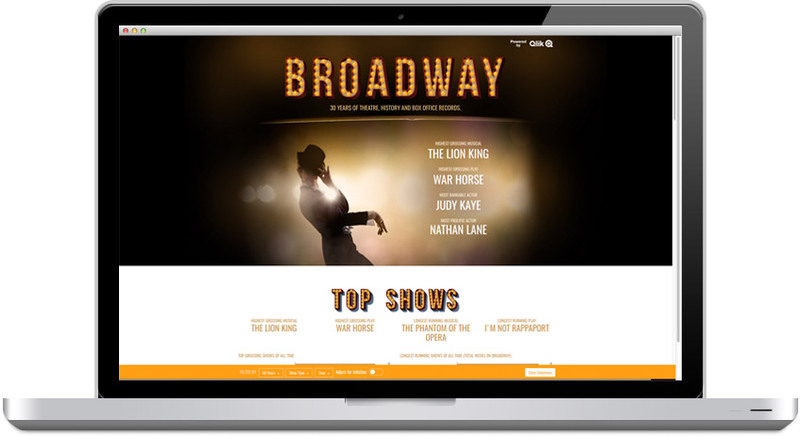 This app takes 30 years of box office ticket sales, as well as Tony Awards data, and brings them together for users to explore. Each horizontal section is a different sub-topic of Broadway success. One of the features I like the most is found in the sticky filters row which is the ability to adjust the sales data for inflation for an even better comparison. Experience the app for yourself.